R3estock3d is a unique cook group that differs a lot from usual similar groups on the market. Why? shopify restock monitors for more than 200 sites and instant notifications for all new products; supreme restock monitors and fast notifications; advanced professional 24/7 support; and so on. 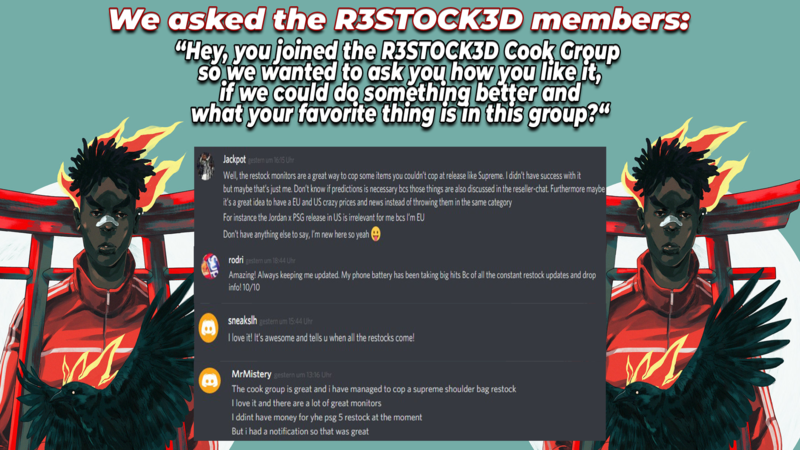 R3estock3d is a unique cook group that differs a lot from usual similar groups on the market. Why? And some special features like low price ore-orders, giveaways, etc. You can buy one-month R3estock3d membership for $15/month, yearly subscription for $99 or a lifetime version for $300. Also, if you aren’t satisfied with the product, feel free to ask for a refund. So R3estock3d team cares about every user.